This entry was posted on Tuesday, January 10th, 2012 at 10:45 and is filed under Defense, Homeland Insecurity, Media, Politics. Sooo do you think the collapse of the euro wiil in anyway effect the USA? Gail, absolutely. I've written extensively about it. Do a word search on "Euro" in the search box at top right. Silliness by the DHS, gone wild…man will the DHS be bored when they find out who I am. I have an idea. I suggest we all put all those words on our blogs in prominent places and post them with every Face book and twitter tweet and encourage everyone in the blogger community to do likewise. It will be interesting to see what happens. They may have to hire a few million more spies to keep track of us. Grant, are you suggesting a job creation plan? LOL! keywords that trigger their filters – keep the monitors busy so that they can work overtime and earn a good living to support their families by investigating keywords mixed in with useless content that says absolutely nothing. Be sure to add new pages every day ! 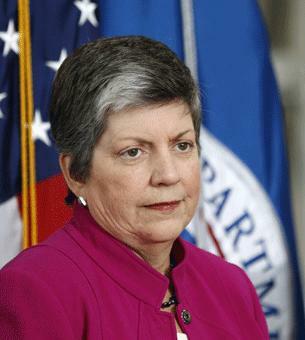 Just remember that Napolitano is even more enept then Obama is and was the same as governor of Arizona, where she ran the state into the red. She is clueless and has a grudge against Sheriff Joe Arpiao and is using that to investigate him. She will be gone when we take it all back in November and things will change and fast! She was excited to get any position from Obama and stated that when he won in 2008. We didn't call her "crappy nappy" for nothing! "I also know that this will wind up being used as a tool of political oppression." How do you KNOW that, Mark? Are you suggesting that our own government should not be allowed to SEE public media and follow blog posts? I am anti-SOPA and anti-PIPA, but I find your statement embarrassingly unsupportable. You are not able to predict the future, and you certainly don't know any such thing. Larry, I have news for you, but if past is prologue, and it is, then I can fairly well guess at the future. Stop playing with words and stick to the point. I am as able to predict the future as you. For instance, I believe you're not going to like this response. I could be wrong, but with the past as my best guide, I'll take my best guess and stick by it. Here's a guy who can predict the future, and he proves it!